This story discusses suicide. If you are affected, help is available - some contact numbers are listed at the bottom of this article. 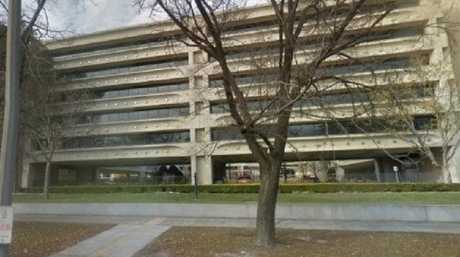 A YOUNG female agent has died by suicide inside the Australian Federal Police national headquarters at the Edmund Barton Building, Canberra, the second to do so in six weeks. Several AFP sources told news.com.au the woman, who News Corp Australia has chosen not to yet name, was involved in the organisation's Safe Place - an area AFP commissioner Andrew Colvin has been leading cultural reform amid widespread revelations of internal bullying and a spate of workplace suicides. 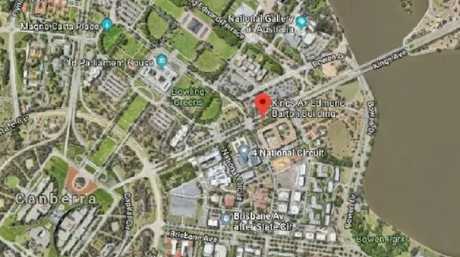 An AFP spokesperson confirmed in a statement to news.com.au "that on Sunday, 9 December 2018, a member of the AFP appears to have taken her own life". 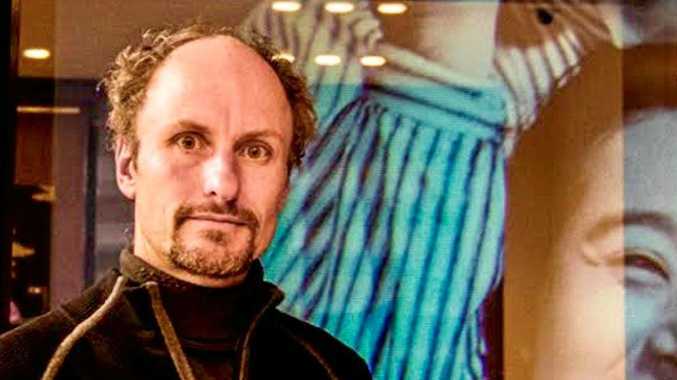 "A brief is now being prepared for the ACT Coroner," the spokesperson said. The AFP did not respond to further questions regarding the matter. It is not yet known if there were any witnesses to the woman's death. "She was awesome. Very sad. Only young as well. A great person," one AFP source told news.com.au. "She was seeking help but (was) let down by the organisation." Another AFP source told news.com.au: "It's happened again". Exactly six weeks ago today, Superintendent Richard Roberts also walked into the AFP national headquarters and didn't come out alive. 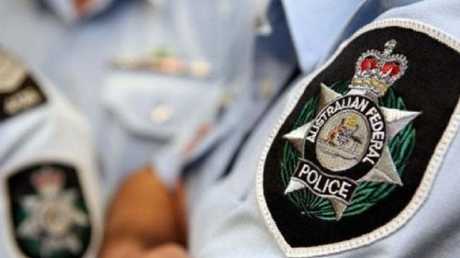 The Australian Federal Police Association revealed Supt. Roberts "appears to have taken his own life" on October 27. An AFP spokesman also confirmed at the time that "a member of the AFP" had died, in a statement to news.com.au. "A brief is now being prepared for the ACT Coroner," the spokesman said. News.com.au understands Commissioner Colvin "spoke to troops" to inform them of Supt. Roberts' death in an email and video to colleagues nationwide. It's a process he is likely to repeat sometime in the next 24 hours. The latest AFP workplace suicide is the fourth incident in which an officer appeared to take their own life inside one of the organisation's buildings since the start of last year. In November 2017, AFP member Malcolm Scott, 59, walked into the foyer of the organisation's Melbourne building and took his own life just before 9am on a Saturday. Mr Colvin said at the time that it was "with great sadness I can confirm one of our police officers has died in Melbourne". "The male officer was found by colleagues in the AFP's Melbourne Headquarters in La Trobe Street," he said. Mr Scott's death followed that of colleague Sue Jones, 53, a mother of two who died in shockingly similar circumstances in the same building earlier that year. Mr Scott and Ms Jones had worked on the same team within the Melbourne branch, according to colleagues who spoke to news.com.au. Both deaths were later deemed to be non-suspicious. One AFP source, who spoke on the condition of anonymity, told news.com.au in October that the only thing he believed "would fix the (organisation's) welfare system is a royal commission". "It needs intense scrutiny that the agencies can't cover up," he said. "We have an expression in our job: TJF - this job's f***ed. "Morale is in the toilet. We know we have no support and no backing from most of the management." The source described the company's external Employee Assistance Program as inadequate. "If the Employee Assistance Program they always reference was adequate we wouldn't have members falling like flies," he said. "(Some soft drink companies) have a more functional and workable welfare system than we do. "It's not just the AFP; I know of many people from state forces and other emergency services who are struggling and getting no support." In March this year, the high rate of suicide deaths and mental health conditions experienced by first responders - including emergency service workers and volunteers - prompted a federal Parliament committee to launch an inquiry into the role of the Commonwealth and the states to address the issues. The inquiry is expected to release its report on the matter in February 2019. It came after almost 100 past and present AFP agents contacted news.com.au to report widespread mental health issues among first responders within the organisation, mismanagement of the issue, and a disturbing internal bullying culture. News.com.au exposed the issues in an investigative series, which prompted the Australian National Audit Office (ANAO) to audit the AFP's management of mental health within the organisation. The report, released on March 7 this year, found that the "AFP lacks a comprehensive and consolidated organisational health and wellbeing framework to enable effective management and support of employee mental health". "While the AFP offers a variety of mental health support services, there is no evidence that these services are effective and they are not supported by sound governance, risk management, evaluation or an articulated business rationale," the report read. "The AFP does not currently have in place mechanisms or sufficient data to appropriately align resources with key mental health risks." The ANAO made six recommendations, which the AFP agreed to implement as part of its "new Health and Wellbeing Strategy for the organisation" by mid-May this year. The AFP also engaged the Phoenix Australia Centre to conduct an independent mental health review into the organisation. It released its report earlier this year and made 37 recommendations to be implemented over five years. But for some, it's proven too little, too late. The widow of NSW Police homicide detective Ashley Bryant, a father who took his own life in 2013, also weighed in on the issue in a public post on social media following Supt. Roberts' death in October. "I think that it's important that we don't assume those suffering from a psychological injury have not asked for help," Deborah Bryant wrote. "In many cases, they have indeed sought help and have been surrounded by family, friends and colleagues who have given all the support they can give. "We need to acknowledge that disclosure of a psychological injury does not automatically make it better. It is a fight that is fought day by day, and all too often minute by minute. "If we as a society truly want to stop these suicide deaths or indeed the many more 'living deaths' of our Service Personnel, then we need to rally our governments to provide the foundations of support unique to what our service men and women suffer. "A good start would be dedicated mental health facilities, so that when they seek treatment they are not sitting in the same room as criminals and drug addicts. "We also need to collectively demand our governments provide income support directly, rather than through privatised runners, so that our service men and women can continue to support their families and be given time to heal without the burden of unnecessary and emasculating demands to 'prove' they are worthy of this support." According to Ms Bryant, suicide deaths rarely "occur without warning signs". "The (organisations) should proactively intervene rather than expect those suffering to cry out," she said. "Obviously, that's not an easy thing to do, but if nothing changes then nothing at all will change." If you need help call Lifeline on 13 11 14 or Beyond Blue on 1300 224 636.